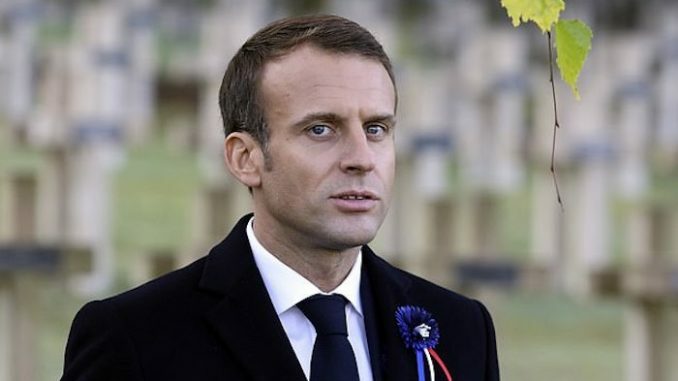 French President Emmanuel Macron has been declared a traitor by high-ranking officials of his own military. Several French Army officials have written a letter to Macron, slamming him for signing the UN Global Compact for Migration on behalf of France. According to a report by L’Opinion, a total of ten generals, a colonel, an admiral, and the former French Minister of Defence Charles Millon signed a letter that denounced Macron’s backing of the controversial UN migration pact in Marrakesh, Morocco. Breitbart.com reports: Several of the signatories are already known for their anti-mass migration stances, including former French Foreign Legion chief General Christian Piquemal, who wasstripped of military privileges after taking part in an anti-mass migration protest in Calais in 2016. Piquemal was also seen at the Yellow Vest “Act IV” protests on December 8th giving a speech to a crowd of protesters while wearing a yellow vest. The Yellow Vest movement has protested the Macron government for weeks and, carrying on despite achieving a stoppage of the President’s “green” fuel tax increases.